Cherry capsules with the combined power of Montmorency Cherries, Beetroot, Turmeric and more, blended to get you active again. 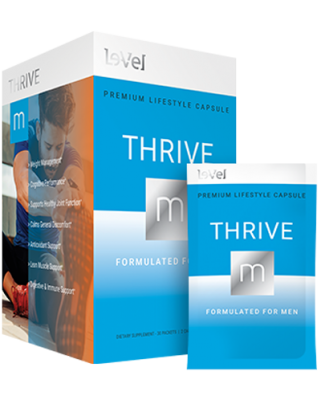 CherryVita Activ capsules provide extract of premium Montmorency Cherries combined with a proprietary blend of powerful nutritive allies. Consumption of Montmorency Cherry extract can help lower uric acid in the bloodstream, providing natural relief from painful gout and inflammation. 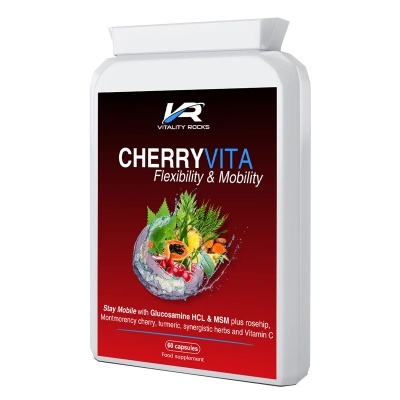 Vitality Rocks CherryVita Active capsules contain premium quality, concentrated Montmorency (sour) Cherry powder in an easy to swallow capsule form. Offering all of the goodness of Montmorency Cherries, without the sugar content and sticky mess associated with juice extracts. Known for it's anti-inflammatory benefits, Montmorency Cherry is a popular supplement for those suffering from gout and other inflammatory diseases such as arthritis. 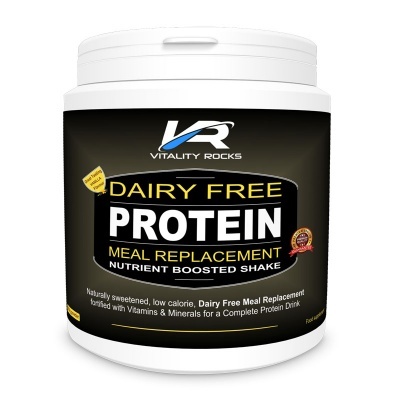 Also popular with athletes and those undergoing training regimes, who may benefit from the rich anti-oxidant properties of this dietary supplement. Beetroot, which contains nutrients and compounds that may help to fight inflammation, boost stamina and lower blood pressure. Beetroot is rich in fibre and valuable nutrients that are renowned to help fight cancer and provide support for your body's detoxification processes. Black Pepper, which contains the chemical piperine, known to have many nutritional benefits on the body and also helps with the absorption of curcumin. Piperine has powerful anti-bacterial and anti-oxidant properties and may provide additional benefits such as respiratory relief, skin health and digestive benefits. Vitamin B6, to contribute to the normal functioning of the immune system, help with the regulation of hormonal activity and reduce the feeling of tiredness and fatigue. 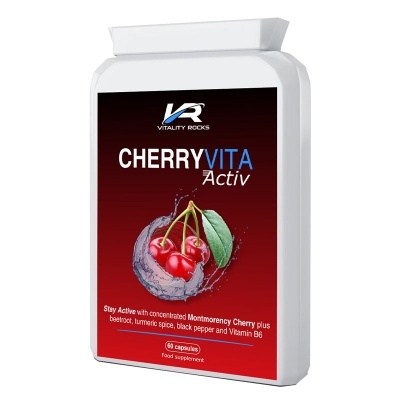 Discover why Vitality Rocks CherryVita Activ capsules offers so many more benefits than tart cherry extract alone and all in a convenient, mess free, easy to take capsule form. 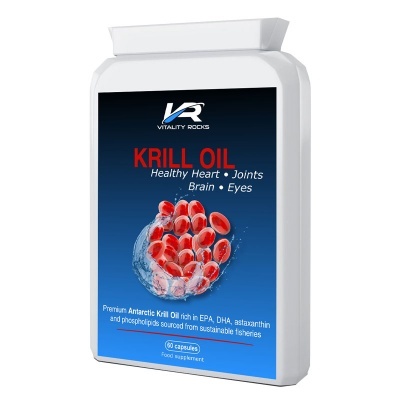 Beetroot Extract (10:1), Montmorency Cherry Extract (10:1), Capsule Shell: Hydroxypropyl Methylcellulose (HPMC) (Vegetarian), Anti-caking Agent: Magnesium Stearate (Magnesium salts of fatty acids) (vegetable source), Black Pepper Powder, Turmeric Extract 10:1 (95% Curcumin), Vitamin B6 Pyridoxine Hcl. NOTE: may turn urine a pink colour. This product is NOT tested on animals.